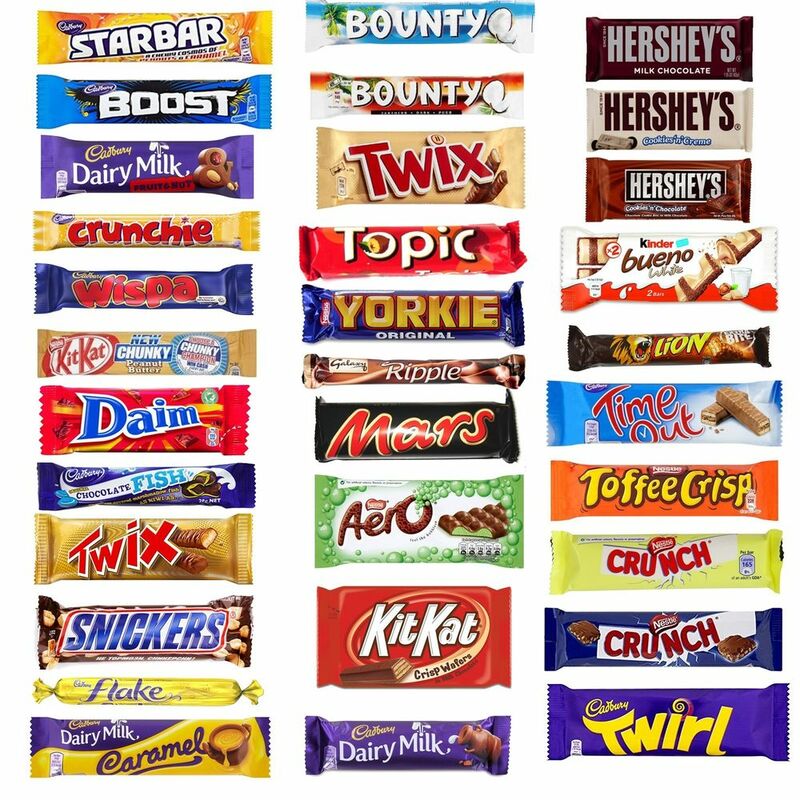 Instead, companies like Nestle and Cadbury produce their chocolate from cocoa beans sourced from plantations in countries such as Côte d’Ivoire, Ghana, Indonesia or the Dominican Republic. 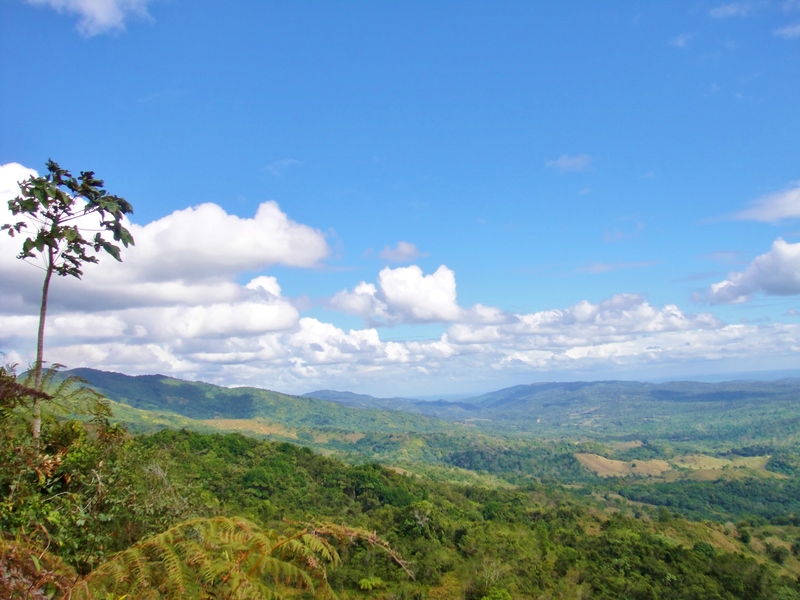 The Dominican Republic is an appropriate place to visit a cocoa plantation as historians believe that chocolate consumption originated in the Pre-Columbian societies of Central America and the Caribbean at least five thousand years ago. 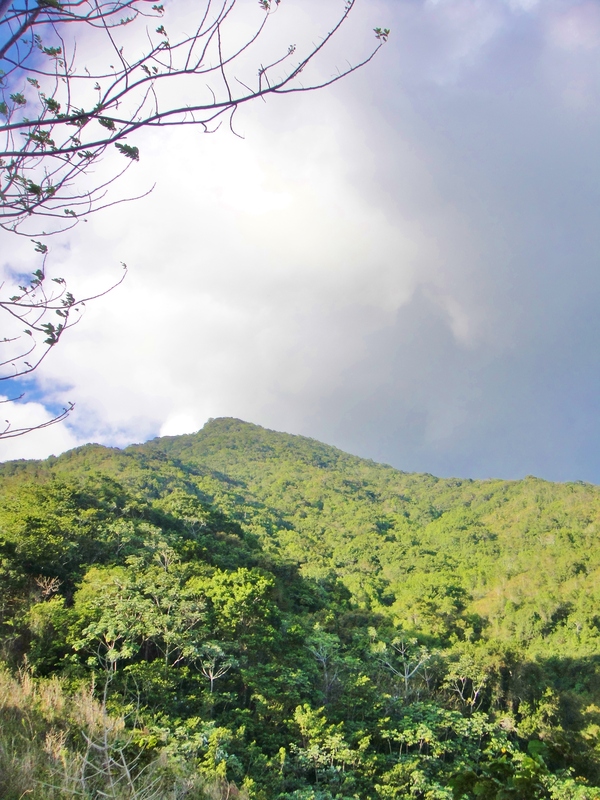 Accordingly, I shall profile below one such cocoa plantation in the Dominican Republic for you… This particular plantation is located on the slopes of Loma Quita Espuela, northeast of the town of San Francisco de Macoris. 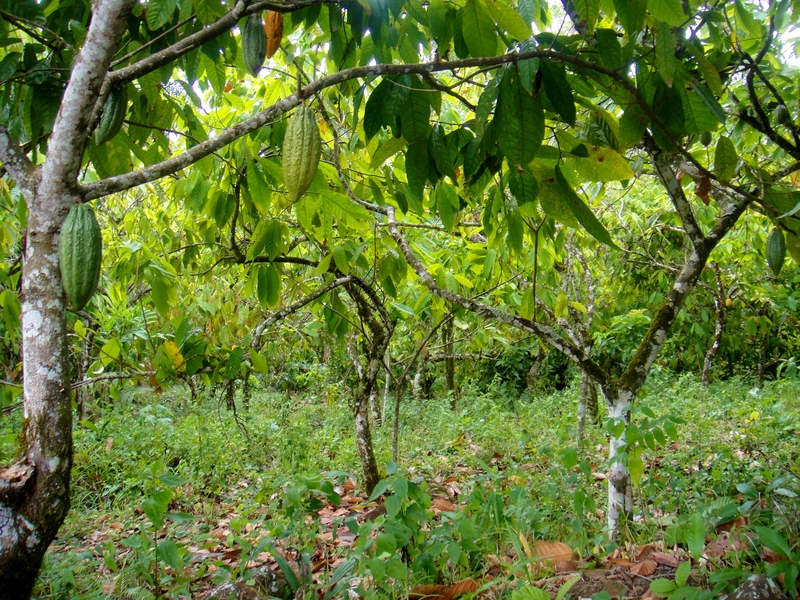 Today, many of the small, local cocoa farmers whose land borders the reserve covering Loma Quita Espuela produce organic cocoa. And, if you’re in to this sort of thing, the Dominican Republic has taken a global lead when it comes to chocolate produced in an “ethical” manner. 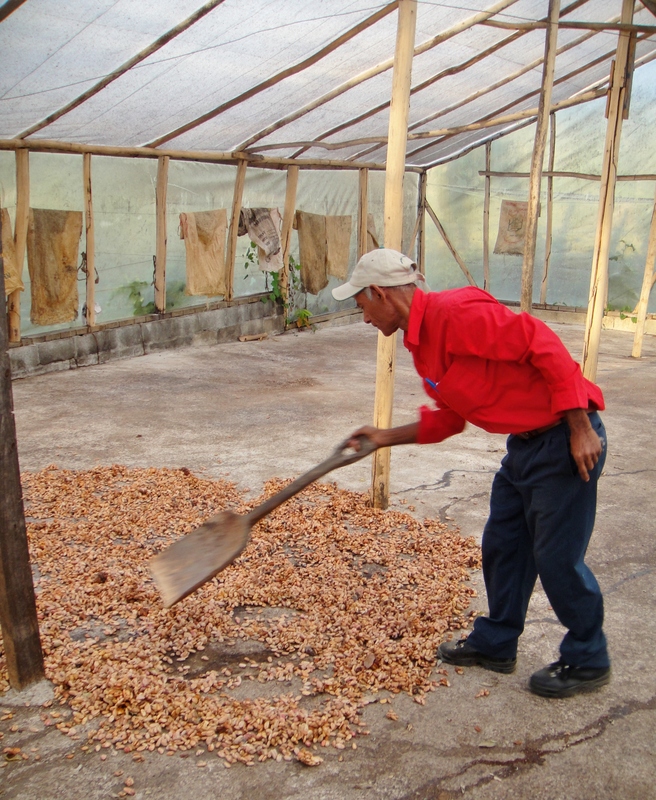 First, the government ensures cocoa production in the Dominican Republic is done in an environmentally sustainable manner. 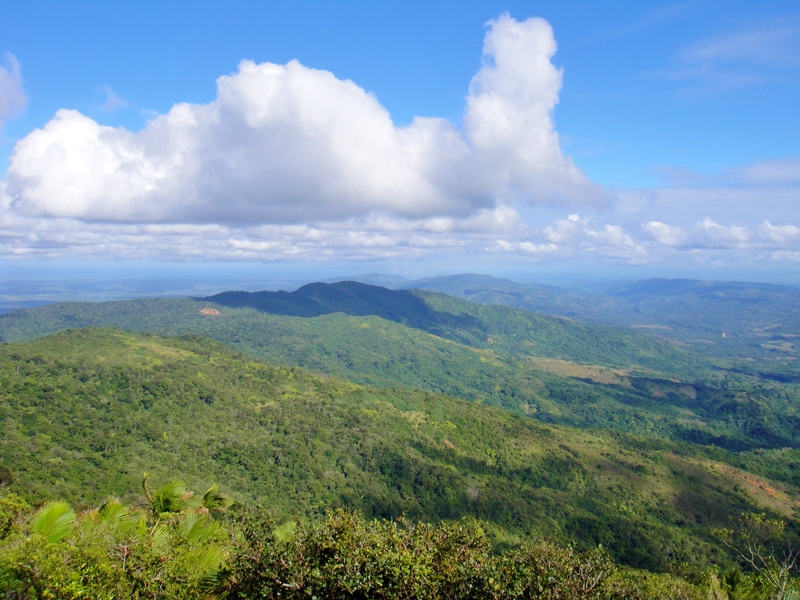 Secondly, until 2009, the Dominican Republic led the world in “Fairtrade-certified” cocoa production, and it still remains a leader in this front. 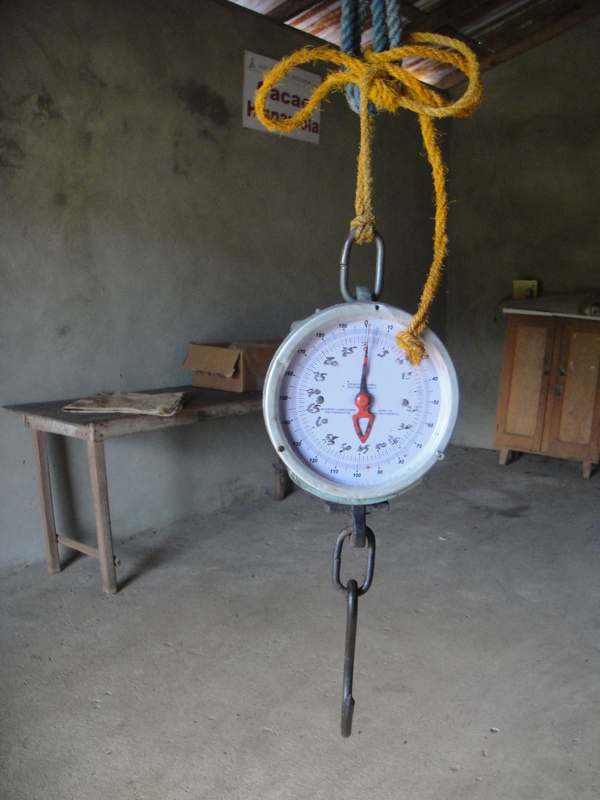 The target weight is 50 pounds per sack of dried cocoa beans. 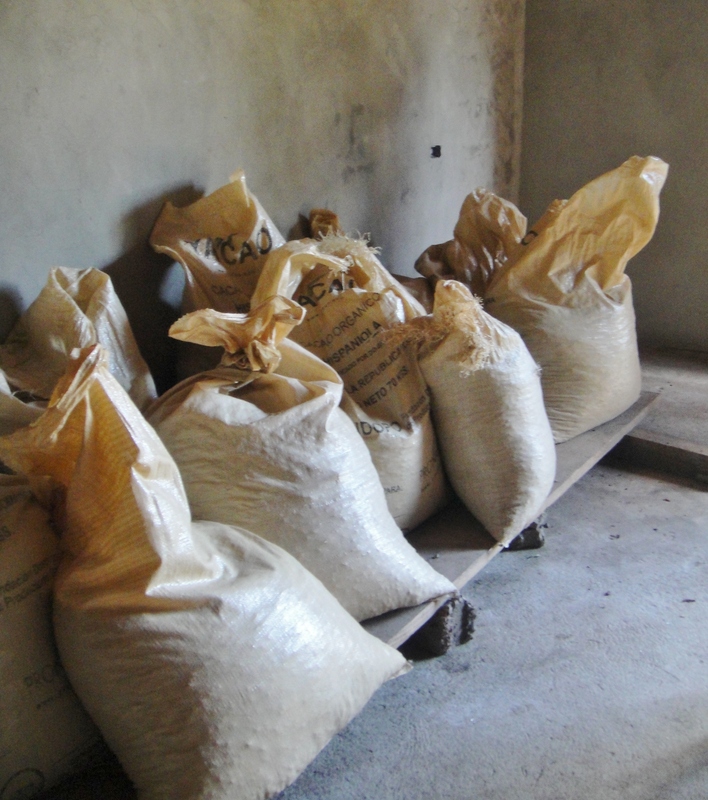 For each 50 pound sack, the farmers (at the time we visited) receive 6,000 Dominican pesos (approximately $133 US dollars). 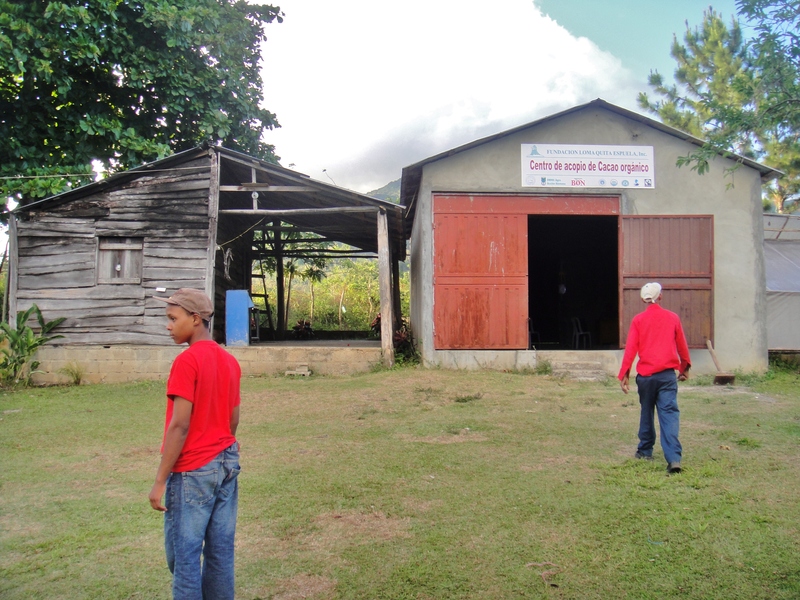 The organization that represents the cocoa plantations in the area then sells the 50 pound sacks for 6,300 pesos (approximately $139 US dollars). 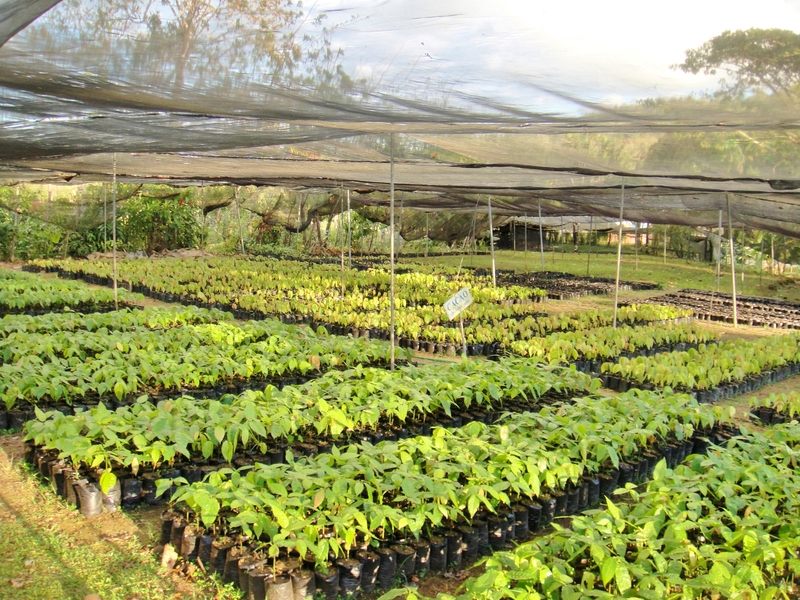 The small profit the organization collects is to cover organic certification, processing, etc. It takes about 10 trees to produce one 50 pound sack per year. 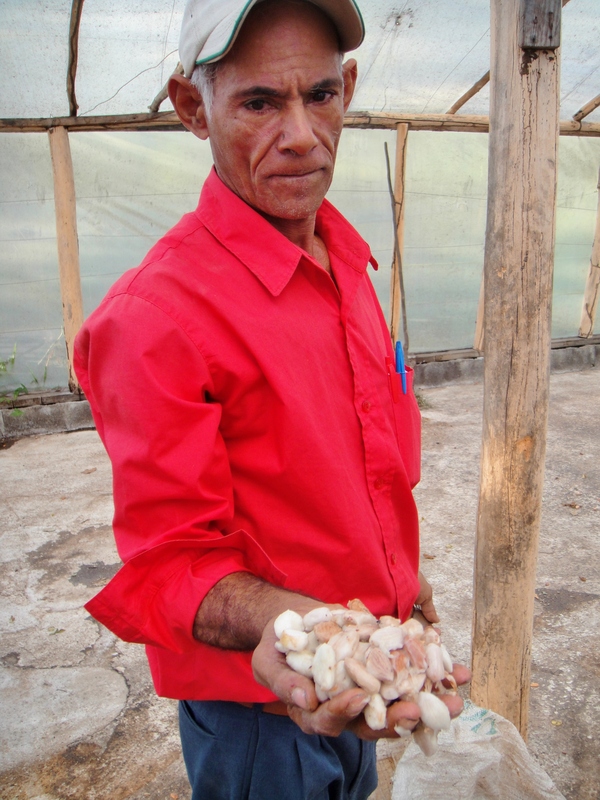 To put it another way, each mature tree produces 6-700 Dominican pesos (approximately $16 US dollars) worth of cocoa beans per year. 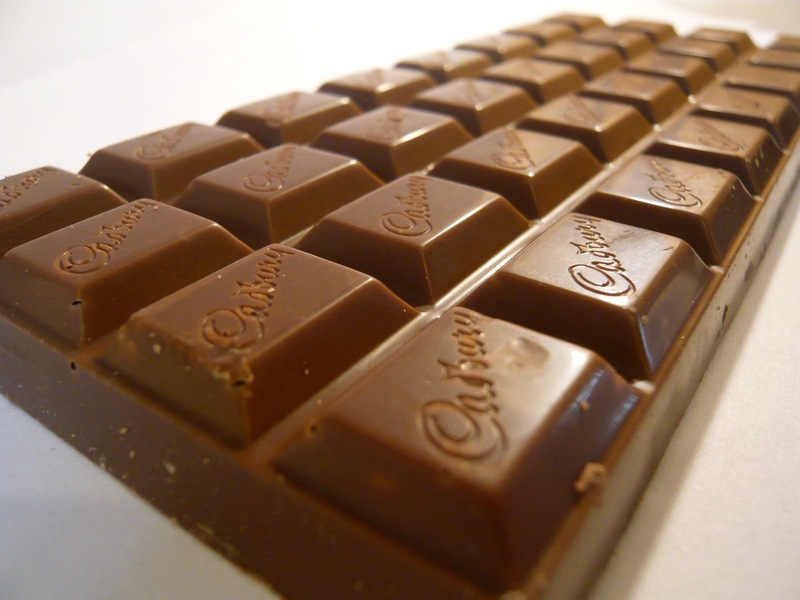 And chocolate is a big business… Regardless of how one views chocolate or the production of cocoa, it is a significant industry – the global chocolate market is estimated to exceed $100 billion by 2016. Once the cocoa beans have been transported to a port and loaded onto a ship – most ships carrying the precious beans travel to the Netherlands, the United States or the United Kingdom – the beans finally arrive at a factory. Here, they are roasted and then ground down to a thick, creamy paste known as “chocolate liquor” which is similar to peanut butter. 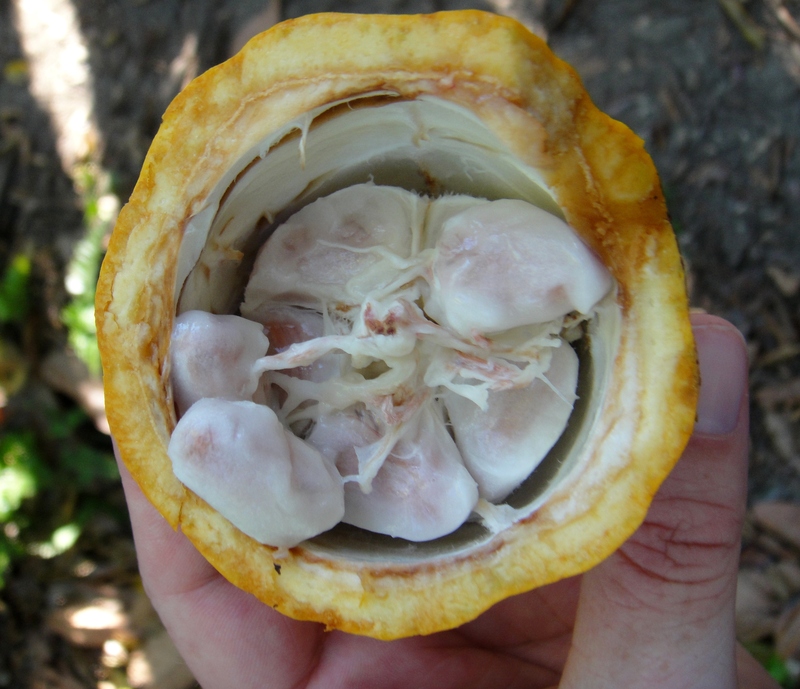 This “liquor” is then refined into the chocolate we know so well by mixing in cocoa butter and sugar and sometimes vanilla and other ingredients depending on what a manufacturer is going for. It’s quite a journey. So, next time you are gobbling down some chocolate, take a second to contemplate just how far that chocolate came to get to your mouth. 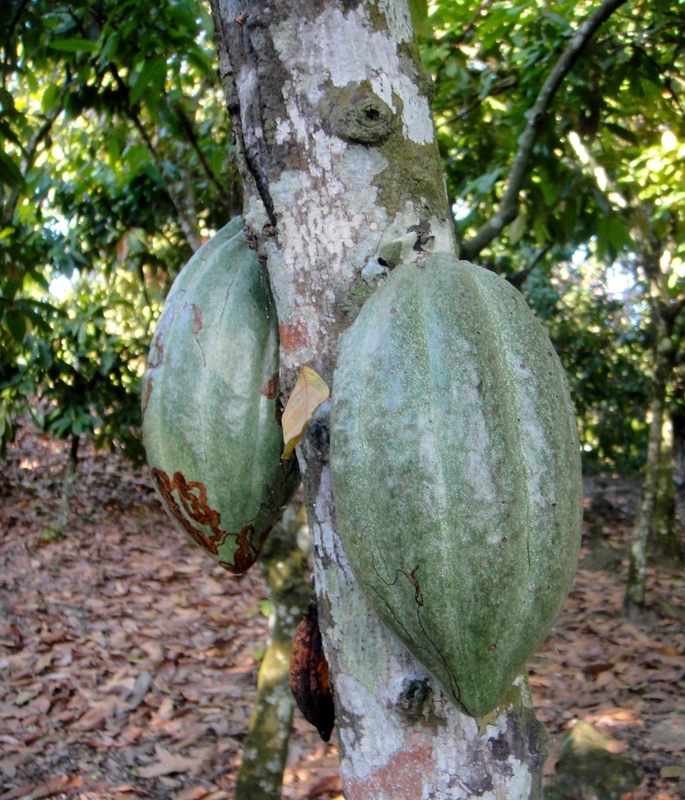 Tags: cacao, cacao bean, Cadbury, chocolate, cocoa, cocoa bean, Cocoa Plantation, cocoa production, Dominican Republic, Eleonora Giuliani, Justin Ames, Nestle, Theobroma cacao. Bookmark the permalink. You always tell me something I don’t know. Went to La Republica Dominicana about 34 years ago, when Boca Chita was without hotels filled with its people. I rented a house, a maid, a motorbike & went around for almost a month. You are giving me the taste to return. I never went back cuz it simply got so touristic. Glad to hear I still have the power to entertain and inform… 34 years ago would have been a great time to visit, but it is still possible to avoid the tourist areas by going to the north. No, there are many places “away from it all”. We live in Luperon, a small town on the north coast. Still has the little colmados and people gather in the park at night, listen to their music, drink rum and beer. Very interesting article Justin. Looks like a beautiful place. Happy holidays to you and Eleanora. Give your mom a hug for me.